Laundry centers should be dependable, profitable and designed to create a satisfying experience for your residents. Whether adding a new laundry center, upgrading your existing equipment or searching for a new laundry service provider, Coinmach specializes in custom solutions that meet your community’s specific needs, both economically and environmentally. For more than 65 years, Coinmach has been providing laundry services for more apartment communities, co-ops, condos, military housing, and public housing properties than any other company in the nation. Partner with Coinmach for greater resident satisfaction, higher revenue, exceptional service, superior equipment and leading-edge technology. We’re deeply committed to creating exceptional value for you and your community. 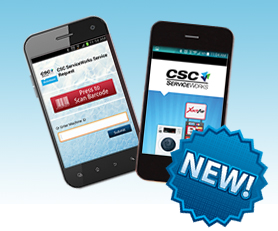 Learn how Coinmach can solve your laundry center challenges today. Call (877) 264-6622 or fill out our brief contact form. Save time and be where you want to be with our online laundry monitoring!